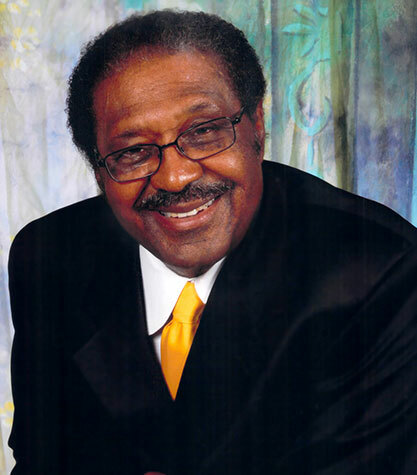 Robert Clark is the most pioneering black elected official of the modern era in Mississippi. Robert George Clark, Jr. was elected to the Mississippi House of Representatives in 1967 and was the longest serving member in continuous service at his retirement in December 2003. He was the first black elected to the state legislature since the Reconstruction era. In January 1992, he was elected as House Speaker Pro Tempore. He was re-elected to this position at the start of the 1996 and 2000 sessions, a position he held for 12 consecutive years, until his retirement. While in the House of Representatives, he represented District 47 which at various periods encompassed parts of Holmes, Attala, Yazoo and Humphreys Counties. He was succeeded in office by his son, Bryant Clark. A native of Holmes County, Clark resides in the Ebenezer Community, where he has resided continuously since birth. His great grandparents were slaves on the property where he resides. After slavery his great grandfather purchased this property and members of the family have resided there since that time. Clark earned an undergraduate degree from Jackson State University and a Master’s Degree in Administration and Educational Services from Michigan State University, nearly completing his PhD before entering politics. He subsequently received Honorary Doctorate Degrees from Prentiss Institute in 1970, Tougaloo College in 2003, Michigan State University in 2014 and Mississippi State University in 2018. He has done additional studies at Michigan State University, Mississippi Valley State University, Florida A & M University and Western Michigan University. In 1979, he was a teaching fellow at the John F. Kennedy School of Government at Harvard University. He served several years as a visiting professor for the Delta Research and Cultural Institute (DRCI) at Mississippi Valley State University. In 1977, Clark became the first black committee chairman in the Mississippi House of Representatives. He was named to head the all-important Education Committee, a position he held for ten pivotal years of change and reform in Mississippi’s educational system. He was at the helm of the Education Committee when the House passed the highly acclaimed 1982 Education Reform Act. As Speaker Pro Tempore, he served as Chairman of the House Management Committee, which oversees internal business affairs and personnel of the Mississippi House of Representatives. Within a period of 18 months, he increased the African American employment in the Mississippi House of Representatives equal to the percentage of the African American population in the state of Mississippi. He has served on the Policy and Steering Committee of Education Commission of the States, the Education Committee of the National Conference of State Legislators and various study committees on education and other vital state and national issues. He serves as a member on the Mississippi Workforce Development Commission, the Board of Directors of Jobs for Mississippi Graduates and the Lt. Gov.’s Commission for a New Mississippi. He also has served as Chairman of the Board of Directors for the Mississippi Action for Community Education (MACE) and the MACE Fund both organizations based in Greenville. He is active in civic affairs and has received numerous honors during his lengthy public career including Jackson State University Alumnus of the Year, the Outstanding Achievement Award for Education in Mississippi, the Award of Distinction and the Outstanding Leadership Award presented by the University of Mississippi. He has been inducted into the JSU Alumni Hall of Fame. And, he is the former president of the Holmes County Chapter of Alumni Association. In 2004, Clark became the first African American to have a Mississippi state building named after him. Clark is an active member of the legendary Freedom Democratic Party of Holmes County Mississippi. Presently, it is the only FDP group, which was born during the turbulent era of the 3 sixties civil rights movement, still in existence. In fact, it still exercises its political strength to right wrongs and injustices. Robert G. Clark has been the subject of two Books; Robert G. Clark’s Journey to the House: A Black Politician’s Story (2002) authored by Will Campbell and Even Mississippi (1985) authored by Melany Neilson. Robert Clark is a devout hunter and outdoorsman. He is now married to the former JoAnn Ross and together they have three children and five grandchildren. Mississippi Top 50 is an annual list of the people who are judged to be the most influential leaders in the state. This bipartisan selection of leaders comes from the ranks of elected and appointed officials, economic development professionals, business, media and government affairs. The awards are sponsored by Entergy Mississippi and Mississippi Farm Bureau and awardees were nominated through an open process.